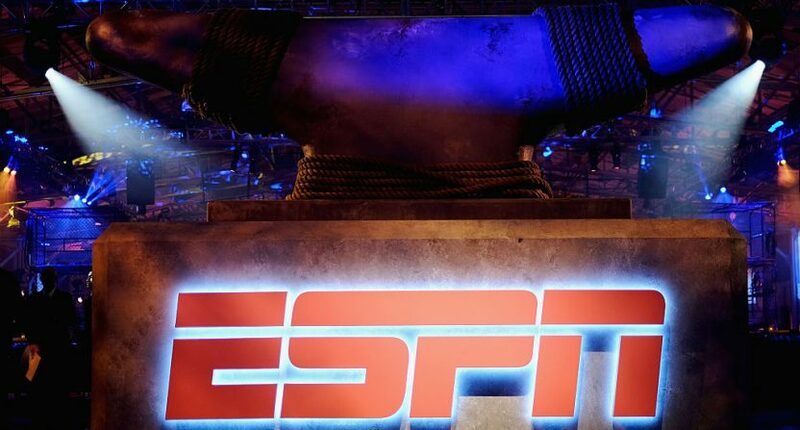 ESPN is not impressed with its competitors digital media audiences. Fox and CBS have both talked a big game recently about their respective digital media strategies and why the way they do things online is better than the way that company up the road in Bristol, Connecticut does things. On Tuesday afternoon, ESPN digital media PR representative Kevin Ota tweeted out a graphic comparing ESPN’s digital traffic to that of Fox and CBS. The image was promptly retweeted by the main ESPN PR account. The graphic not-so-subtly mocks Fox Sports digital’s infamous pivot to video, which cost the site 88 percent of its traffic. CBS is also included, likely as a response to CEO Les Moonves’ comments last week about ESPN featuring too much debate and not enough scores and highlights. As the ESPN PR graphic shows, ESPN blows away CBS and Fox in unique U.S. views and especially total U.S. minutes sent on the site. In the latter category, Fox’s bar was too small to fit the company’s logo. According to data from Comscore compiled by Sports Business Journal, ESPN tops all American sports sites in both uniques and total minutes, with CBS second in the former category and Yahoo-NBC Sports (which are combined for Comscore purposes) the runners up in the latter category. Fox (which remains tied to Sports Illustrated on Comscore) ranks fifth in uniques and seventh in total minutes. ESPN has taken a whole lot of shots in recent weeks and months, for whole lot of reasons, and since the network can’t easily dismiss critics of, say, how it handled Jemele Hill, it seems to be taking out its frustration on Fox and CBS, which can be shot down with numbers. The Worldwide Leader seems to be letting its competitors know that if you come at them, they’re not going to sit there and take it.